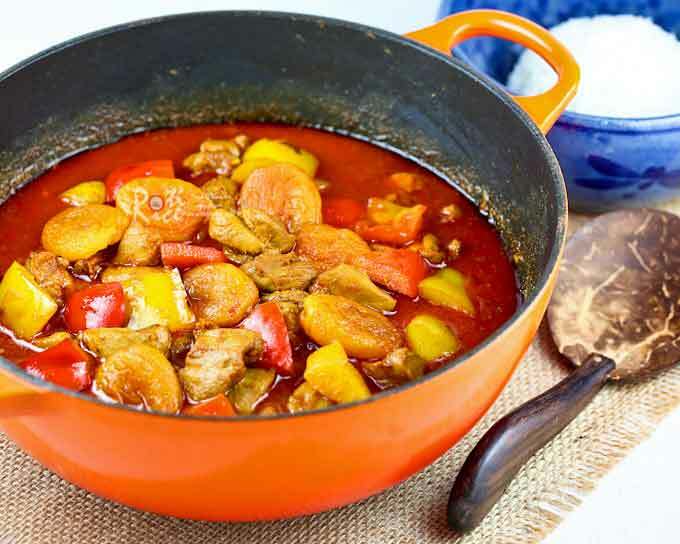 Chicken curry is probably one of the most popular and delectable of all curries. There are many versions out there and I have previously posted three versions (with several more in my pocket) on this blog. Chicken Curry with Kaffir Lime Leaves is a slightly tangy Nyonya (Straits Chinese) version with the addition of asam gelugor and fragrant lime leaves. Chicken Korma with Cashew Nuts is a creamy and mild curry suitable for kids. The Slow Cooker Chicken and Vegetable Curry is a simplified one-pot wonder perfect for week nights. 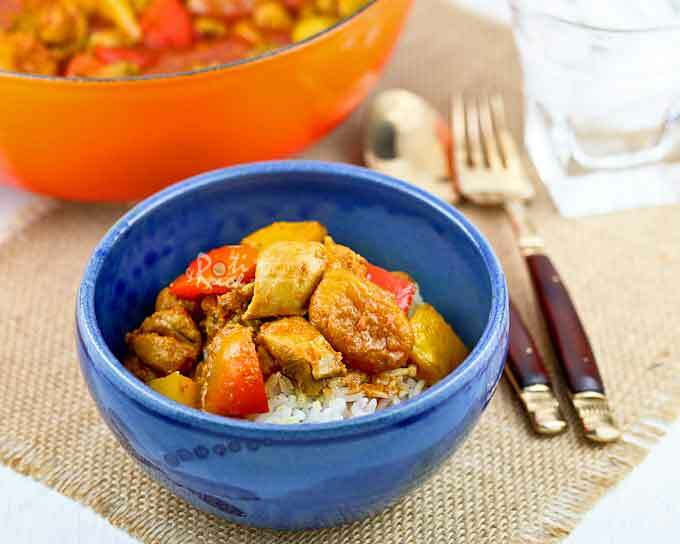 Today’s Chicken Apricot Curry is another mild curry with sweet accents from dried apricots. Fresh apricots are currently in season but I chose to use dried ones because they are sweeter and hold their shape better. They were a nice counterpoint to the rich creamy sauce. The idea of adding dried apricots was inspired by Northern African and Middle Eastern dishes which often have fruits in them. I also threw in some red and yellow bell peppers to make it a complete one-pot dish. Please use any kind of curry powder you are familiar with. The taste may differ slightly depending on the mix of spices in it. Blend onion, garlic, and ginger with ¼ cup (60ml) water. Transfer to a bowl. Add curry powder, cumin, and fennel. Mix into a paste. Heat 1 tablespoon vegetable oil in a medium sized pot over medium heat. Fry red and yellow bell peppers for 2 minutes. Remove and set aside. Add remaining 3 tablespoons vegetable oil to the pot. Stir fry spice paste until fragrant, about 4 to 5 minutes. Add chicken and stir till chicken turns opaque, about 3 minutes. Pour in ½ cup (120ml) water. Add dried apricots. Cover and bring to a boil. Reduce heat and simmer for 10 minutes. Remove lid. Add coconut milk, salt, and cooked bell peppers. Allow coconut milk to heat through, about 3 minutes. 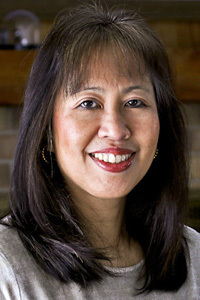 Turn off heat and allow curry to sit for 10 minutes before serving. 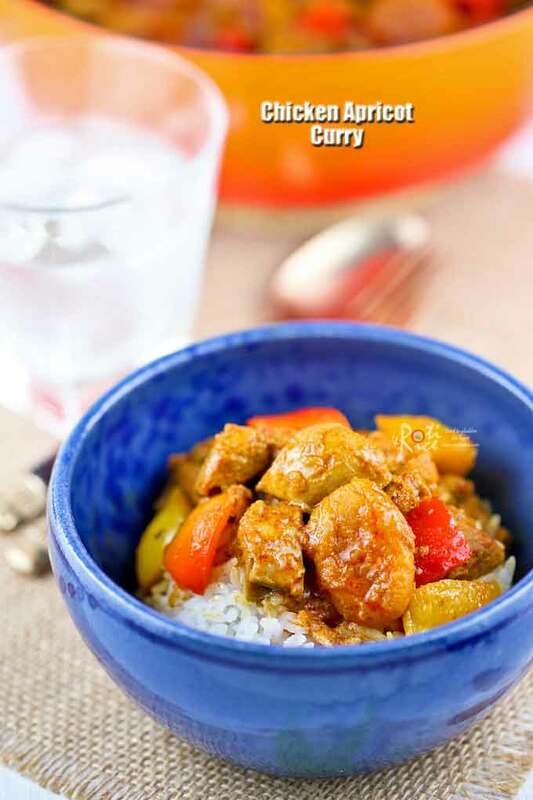 This delicious Chicken Apricot Curry is best served with steamed rice. Do give it a try. Oh, i will try this tomorrow. i think this is a great and beautiful recipe.thanks for sharing!